On 13 April 1893, eight women graduated MA, the first women students having been admitted the previous year following a lengthy battle to allow women admittance to the University. The eight women had already completed most of their exams externally and were awarded their degree within a year of admittance. The same year they graduated, a further 72 matriculated to study, with an additional 78 attending as non-matriculated students. 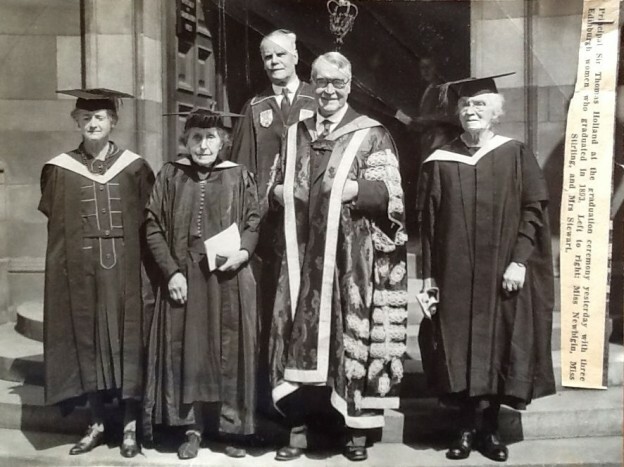 In July 1943, three of the eight joined Principal Sir Thomas Holland on the platform for the graduation ceremony in the McEwan Hall: Flora Stewart, nee Philip, Maude Elizabeth Newbigin and Amelia Hutchison Stirling. We blog this to mark 120 years since their graduation. 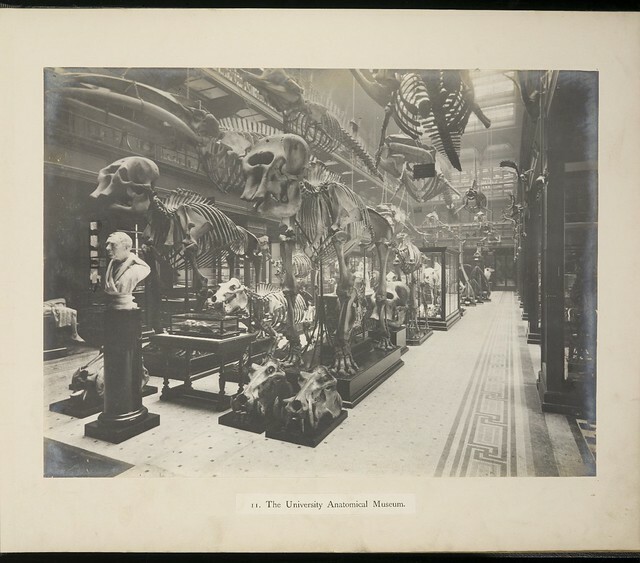 This entry was posted in Collections and tagged students, women on 24/06/2013 by Archivists.